One is taken with taxing consuming. "Try This," says the cover of the current Bloomberg BusinessWeek, and the feature article inside includes nine innovative ideas from around the world to help America out of our current slump. As compiled by economics editor Peter Coy, such ideas include a Canadian-style national sales tax. A consumption tax could help to plug the deficit without discouraging productive activity in the way that greater income or capital gains taxes might. As the saying goes: "So crazy, it just might work." "Well-off liberals such as Dr. 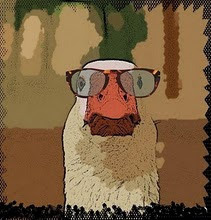 Goose" seldom consider non-linearity when proposing new taxes. It's as if the thinking is: "If we tax this something at 5%, we'll get revenue equal to (0.05 x Something). Nothing will change about that Something, and the problem will be solved!" Don't economics courses require calculus and differential equations? Here's what will happen: First, liberals will insist that food, clothing, basic shelter be exempt, because consumption taxes are a regressive tax on the poor, who can afford it the least, and they simply cannot have that. This alone will take away a huge portion of revenue. Next, you will see whatever can be, will be pushed underground. "Well-off conservatives like Jonathan Lawry" will begin to pay their landscapers and whomever possible in cash. Lastly, you will see large discretional purchases evaporate, as wealthy people will decide that their old yacht will simply have to do for a few more years. (this very thing was attempted in 1991 and famously failed). Liberals must decide whether or not they want to use the tax code to maximize government revenue, or to pursue dreams of a more egalitarian society. It simply is not possible to do both at the same time. Just wanted to say though, that in spite of my disagreement, I very much enjoy your limericks, and am very glad you take the time to write them. In spite of our near-constant disagreements, I always enjoy the fact that you take the time to lay out a very thoughtful rebuttal. In this case I actually agree with most of what you say, except for the opening line regarding my not considering non-linearity. In this, my limerick may have failed, since the whole point of it was to identify an economic activity that it would be least damaging to discourage based on marginal taxation. I too recall that earlier, misbegotten exercise with the luxury tax, which pretty much had failure baked into it. However, there is a big difference between a 10% punitive tax on luxury goods only and an across-the-board national sales tax or VAT. Most other developed countries have some version of this tax and yet retain a buoyant market for consumer goods. I’m sure you are correct that certain essential items such as food would be exempted from this tax, but I doubt whether this would unduly eliminate trading in non-exempted goods, or drive it all underground, if the experience with state sales taxes is any guide. Please drop me a line (drgoose@verizon.net) if you are ever in New York. I would love the opportunity to meet and talk in person.